Please email us with your shipping information by Friday, 3/22. If you didn't win last week... you have a chance this week! We'll be watching to see who REPINS our projects, who comments on our blog posts and anyone that leaves a comment after a blog post you like. We'll pick three lucky winners and announce them next Monday 3/25. Such an awesome collection, the patterns are so fun! FABULOUS projects! I love the patterns in this collection! Great layouts, I love the colors and the pinwheels. Wonderful collection. Fun layouts, and designs. I pinned onto my account. Thnaks for sharing and for the chance to win. Yea!! Thank you so much! You totally made my day. I can't wait to play with Fruit Stand. Great projects! 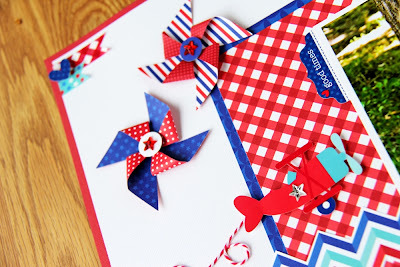 Love the little pinwheels... traditional Fourth of July decoration! Loving this collection! I love that you have that lighter/turquoisey blue in it! These are so pretty and I love this new line!!! So fun and perfect for summer! I love the colours of this collection. I'm always on the look out for red and royal blue as I have so many photos of DS when he was small in these colours. I LOVE these projects! 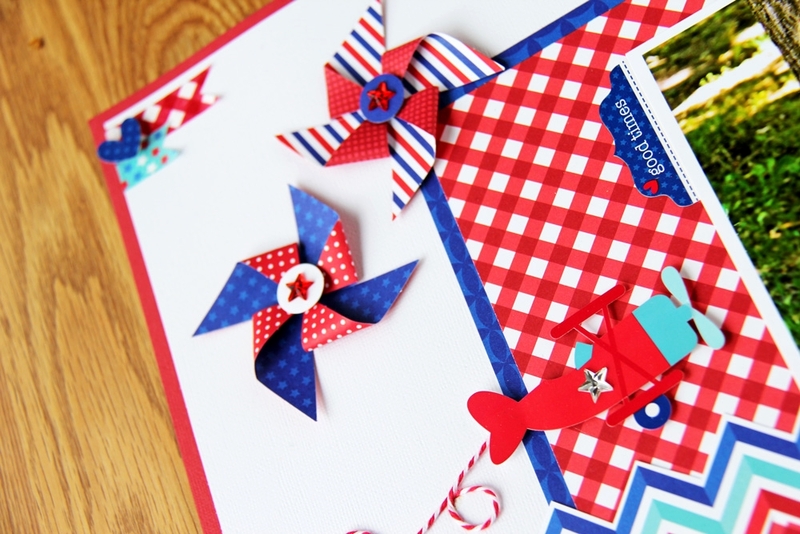 My favorites are the ones with the pinwheels because you get to see the reverse side of the paper when the parts of the pinwheel are folded down. That's SO CUTE! And on the Never Forget layout, I like the plaid paper used as the background. It's like a neutral but with more interest. I can see using that particular paper in a LOT of places. Yay, Cindy! What cute papers! The projects are darling! I am so excited for the preview this week! Have been waiting anxiously for the local scrap store to get it in stock!! Love the layouts!! Awesome collections and awesome layouts!! Unfortunately, I don't pin but I did share on Facebook. Love love love the red, white, and blue!!! How could you not love these layouts.Red,White and Blue make for Awesome layouts.Each and every one are BEAUTIFUL.I always share these on FB.Thank you for sharing. Love the colors of this collection. Great layouts from the design team. Spectacular! And I love that it works for Canada too! What an awesome look. I love the bg paper on the Never Forget layout! Super job. Love this line. I have a daughter who's birthday is July 3rd. Her party is always tied in with a 4th of July event. 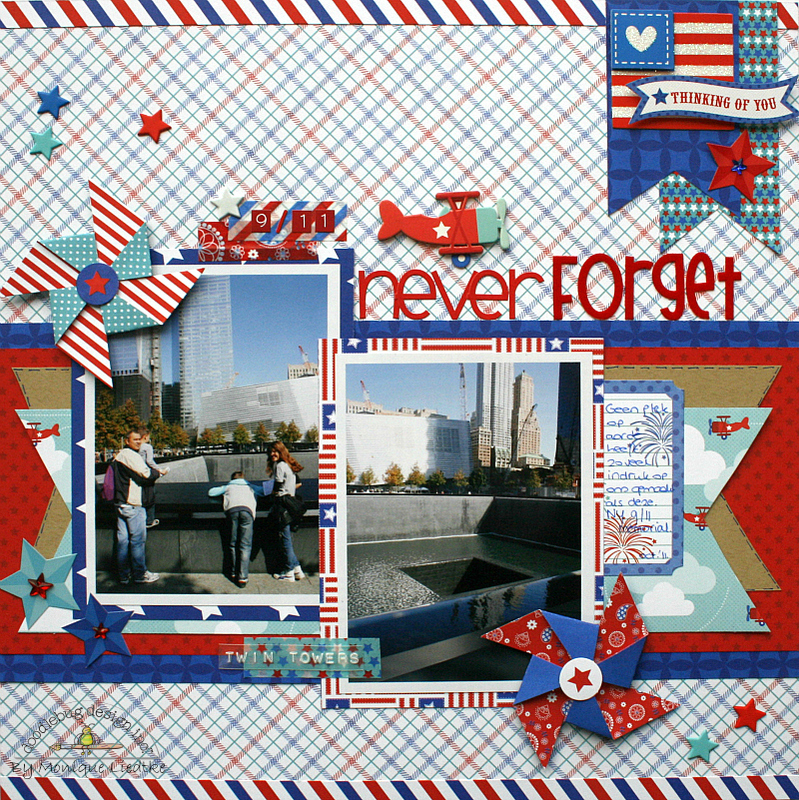 I can see lots of great scrapbook pages with this. It's so bright and fun. It makes me smile. Wow! Amazing layouts, I love the bright cheery colors of the papers and all of the fun details! I like the Never Forget layout. It's a nice layout, and a wonderful message. 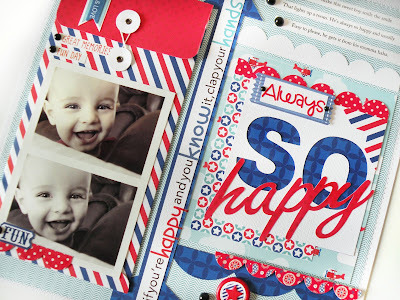 These layouts are just adorable and the colors in this collection are so fun and happy!! 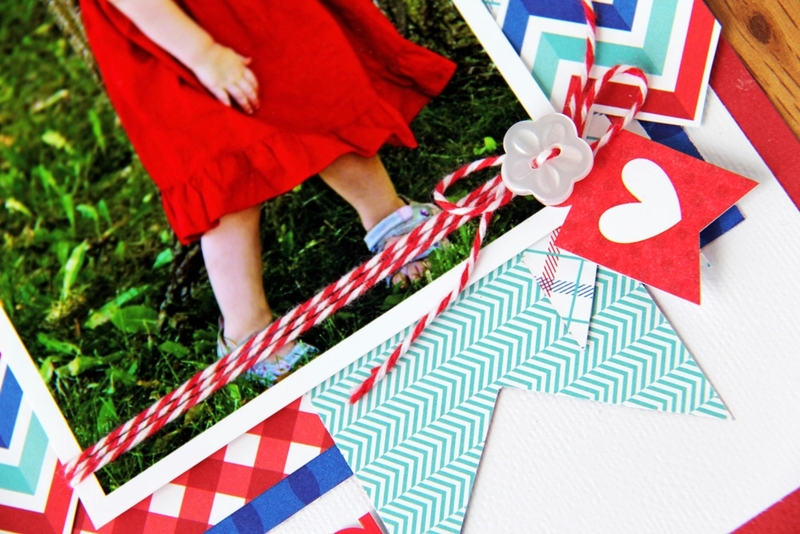 Love the colors and designs...so cheery and so ready for summer! What gorgeous layouts and such a great collection! What beautiful projects, love the Canada one, I'm from Canada myself and I love seeing such projects. 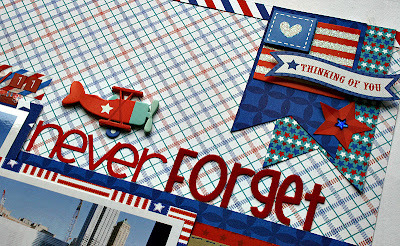 As always love your bright happy colors and that little airplane is so stinkin cute! Red, White, Blue and PROUD! What a fantastic collection! With two nephews in the services; I can't go wrong with this collectioN! THanks for sharing!